invite you to experience the difference at Cutting Edge! 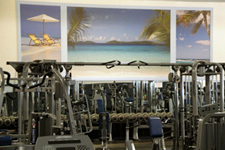 MEMBERS CAN ACCESS THE GYM 24/7/365! 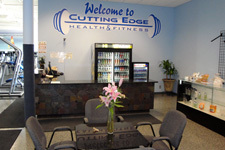 Cutting Edge Health & Fitness is a modern full-service fitness center. We provide our members with 90 pieces of professionally picked strength training equipment and 58 pieces of cardio/fat burning equipment. This "state of the art" equipment is furnished by top manufacturers including: Life Fitness, Hammer Strength, Nautilus, Precor, Strive, Quantum & Stair Master. 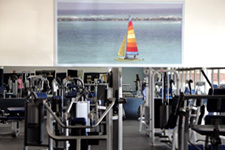 We are the Blue Water Area's largest, fully equipped free weight area! The entire facility was built with wheelchair accessibility in mind...from the locker rooms, to specialized workout stations. We pride ourselves on not only our professional equipment, but also on our personal commitment to member satisfaction. Our outgoing, highly-trained staff are willing to take service in the fitness community to a new level of dedication, unlike any other fitness establishment that has come before us. Cutting Edge is much more than just an advanced fitness center, we understand that due to the busy lifestyles of our modern culture, many individuals are unable to reap the benefits that regular exercise offers. The design of our facility allows our members the opportunity to achieve their fitness goals, while promoting an atmosphere for socializing. 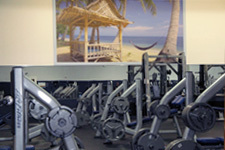 On-site personal training services are available. See the Contact page for a list of trainers. We offer on-site Tanning to members and non-members. 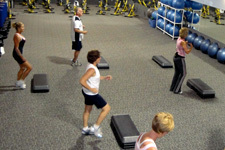 Take advantage of FREE Group Fitness Classes in our spacious aerobics room! These classes offer something for everyone. All classes are co-ed and multi-level. Our locker rooms are bright and clean! 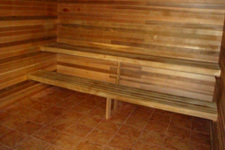 Each side has 5 showers, large dry saunas, scales and plenty of room to change or clean up after your workout. Low-cost towel service is available. 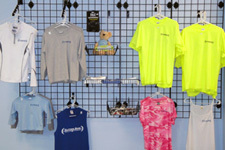 Our Pro Shop offers a variety of drinks and supplements, along with exercise mats, shirts, gloves and more! Rick Quitter has over 20 years experience in the fitness industry including competition, personal training and fitness center ownership. Rick’s experience is the key to making Cutting Edge the leader in the fitness industry. He cares about people as individuals and is always willing to stop and lend a hand. Rick believes in offering an experience of uncompromising quality that meets the health and fitness needs of the entire family, spanning all ages. By adding licensed/certified trainers, massage therapist, and instructors, Rick is certain Cutting Edge Health and Fitness will provide the highest quality services to Port Huron and the surrounding communities.